Baptism is the Rite of Christian Initiation. Through Baptism we are made members of Christ’s Body. In the Episcopal Church we have what is called the Baptismal Covenant. The Baptismal Covenant contains a series of vows, made by all present, (BCP, pp. 304-305). After the candidates have renounced evil and committed themselves to Christ, the presider asks the congregation to join them and “renew our own baptismal covenant.” Responding to a series of questions, the people affirm belief in the triune God (through the Apostles’ Creed) and promise to continue in the Christian fellowship, resist evil and repent, proclaim the gospel, serve Christ in all persons, and strive for justice and peace. The BCP also suggests the covenant for use, in place of the Nicene Creed, on four days when there are no candidates for baptism: the Easter Vigil, the Day of Pentecost, All Saints’ Day or the Sunday thereafter, and the feast of the Baptism of our Lord. In the Episcopal Church the baptismal covenant is widely regarded as the normative statement of what it means to follow Christ. 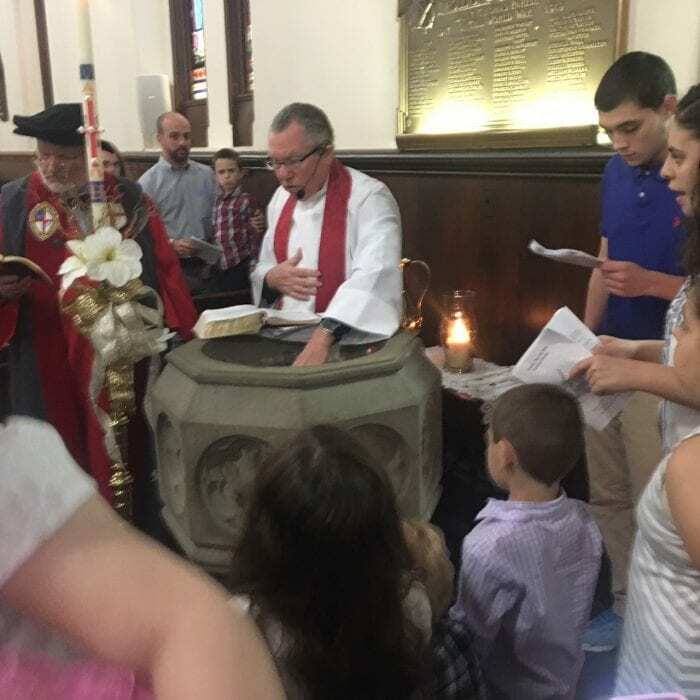 At St. Thomas we follow the traditional days for baptisms. We baptize both children and adults. If you are interested in baptism, please contact the church office at 508-824-9595 to make arrangements with the priest.